Wondering where to get packing boxes? Look no further than Hire a Box! Hire a Box offers moving boxes that can cater to your moving, packing and storage purposes. Our moving boxes in the Gold Coast are of the strongest quality material and have been thoroughly checked and tested for that guaranteed quality. Want to learn more or see what our customers have to say? Why not read our facebook reviews! Did you know that Hire A Box can deliver your packing boxes in Gold Coast on Saturdays too? Just choose a 2 hour time slot so you don’t have to wait around all day and our drivers will drop them to your door. How convenient is that! 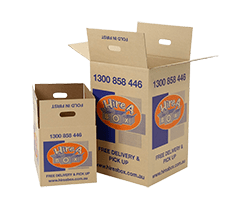 Hiring boxes is the most economical option as long as you have the boxes collected within the 3 months maximum hire period & live in the Gold Coast metro area. If you are moving to a suburb outside of the Gold Coast metro area or you need to keep your boxes for longer than 3 months then it is cheaper for you to buy boxes instead of hiring them. Hiring moving boxes in the Gold Coast saves you up to 30% compared to having to buy the boxes from Gold Coast removalists. Our packing boxes in the Gold Coast are extra strong, made from good-quality cardboard and don’t easily collapse. You can choose to rent or buy your packing boxes. You can hire them for up to 3 months and we come collect them once you have finished with them. It is also cheaper than buying them. Call up in the morning to see if we can deliver your storage boxes the same day, or book online for next day delivery. When you order online you can choose a convenient 2 hour delivery window so you don’t have to wait around all day. Our Gold Coast moving boxes are significantly cheaper than buying from removalists or packing supplies companies.Why buy boxes when you can not only save a lot of money by renting, but also not be stuck with the boxes once you are finished with them and also help save the environment. Choose to either buy our moving boxes or buy new or second hand boxes. What If You’re Looking To Buy? Though hiring is definitely the cheaper choice, you can also opt to buy our moving boxes in the GC if you need to keep them for over 3 months, or if you’ll be moving outside Gold Coast metro area. If you hire our boxes and then decide to keep them, we keep the deposit you put on those moving boxes. We’re highly adaptable! If you need a same day delivery for our Gold Coast packing boxes, call us on 1300 858 446 and one of our friendly staff will try to arrange it for you. In all other instances, simply follow the order steps online and you will be able to get the boxes within your preferred allocated time. First time orders get one free top up and one free pick up, as long as they take place within 3 months of the initial delivery. If you’re hiring, orders valuing $65.00 or more will get a free delivery. If you’re buying, orders valuing $99.00 or more will get a free delivery. Our Gold Coast packing boxes are highly durable and made from strong, rigid cardboard. The moving boxes are able to withstand the strains of heavy packing, lifting, and storage. We don’t only have packing boxes in Gold Coast. Our range of products also comes in bubble wrap, wrapping papers, tape, markers, stickers, and just about everything you’ll need to make your move as manageable as possible. Just check out our product descriptions page. Need a Cost-effective Gold Coast Removalist Company? Look No Further! 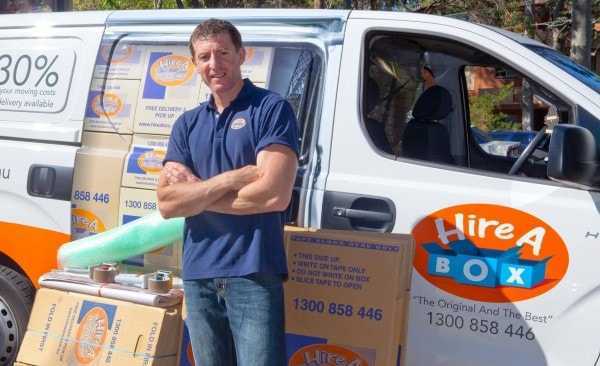 Hire A Box is part of the Hire A Mover group which means you are entitled to use the Hire A Mover removal service and enjoy all the added benefits. Not only do Hire A Mover offer you a cheap and professional Gold Coast removalist team, you are also eligible to a 10% rebate on what you spent on the boxes once you have moved with Hire A Mover. Enquire when you chat with the Hire A Box staff or simply tick the checkbox to get a removal quote when ordering the boxes online. 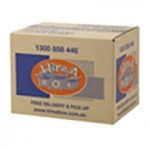 So look no further than Hire A Box for cheap, quality packing boxes in Gold Coast delivered to your door fast. 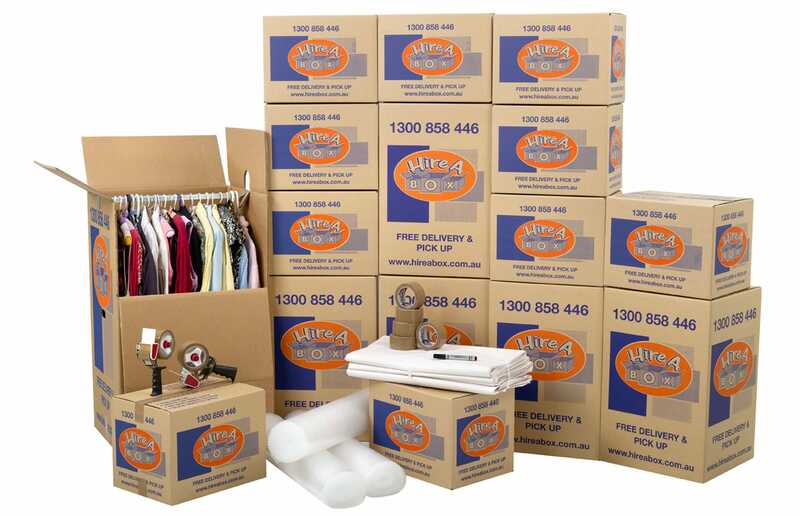 Start packing tomorrow by ordering moving boxes in Gold Coast online now! I used Hire a Box recently and found them excellent. The boxes were delivered on time (next day), were high quality and easy to use. I especially loved the Port-a-robe boxes! In the middle of my second move using Hire A Box. Ordered and paid via the internet yesterday and boxes and all the other bits delivered this morning. Very easy to use and highly recommend this service. Awesome! Boxes delivered and picked up with easy and professional service. Made the move into the city much less of a hassle. Turn around time was exceptionally quick and the boxes themselves were very sturdy. Will be using them every time! Thank you.